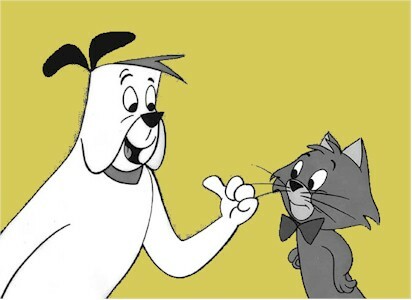 The Voices of Ruff The Cat,Professor Gizmo and The Narrator were performed by Don Messick.Reddy The Dog and Captain Greedy were performed by Daws Butler. by The Rufus Rose/Bobby Nicholson Puppets. Cottle and his head puppeteer/comedy asistant:Andy Bader. Hadn't thought of this cartoon in 40 years. Thanks!